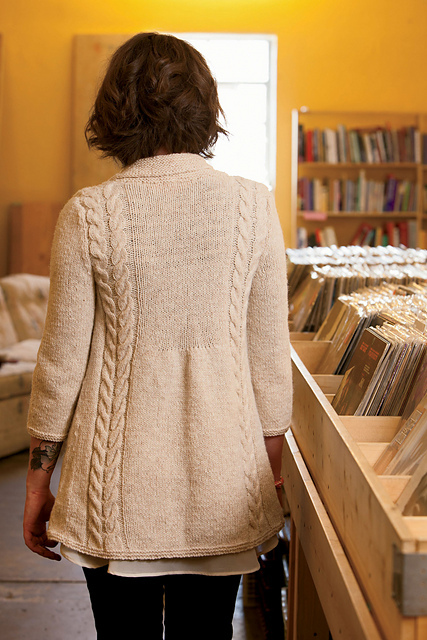 September 26, 2013 Adri H.
Tyrian Loop is a lace beaded loop that was just published in Knitscene Winter 2013! I'm really happy to be included in this issue along with two of my super designer friends, Dilettant Knits with her lovely pattern, Black Cherry Pullover and Rock & Purl was the featured designer with several patterns, Stereo Mittens, Hi-Fi Pullover, and Victor Shawl! This loop (or cowl) has a fun geometric lace pattern, uses an i-cord as a foundation and bind-off, and includes beads that add eye-catching pop.